PADI, the world’s leader in diver education, is well known for embracing the latest technology within the scuba world, with products such as ScubaEarth and the PADI App paving the way for digital divers. Continuing to innovate the way the world learns to dive, PADI have combined cutting-edge software with expert instruction to bring the most popular scuba diving course in the world to the fingertips of aspiring underwater explorers. The PADI Open Water Diver Touch™ is a tablet version of the PADI Open Water Diver course and catapults scuba diver training beyond the classroom, home or office. 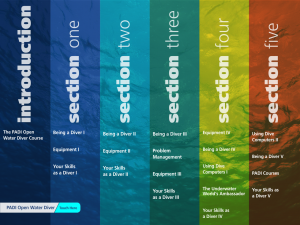 With more and more people choosing to view content on their mobile devices, this revolutionary tool makes it easier than ever to learn dive theory on-the-go. “People are busy, so they have little time for classroom work or reading books. Our new app is the perfect way for them to learn at their own pace and enjoy an engaging, educational experience” – Drew Richardson, CEO and President, PADI Worldwide. With course content available offline without need for Wi-Fi access, the PADI Open Water Diver Touch is perfect for recapping dive theory in even the most remote diving destinations. Even PADI Instructors are noticing how Touch students are better prepared for practical sessions, undoubtedly a result of the accessible, hands-on and fun approach – the secret to successful learning. The journey starts by downloading the free PADI Digital Library App (available from the iTunes App Store for iOS and Android Apps on Google Play) and the first chapter of the PADI Open Water Diver Touch can be downloaded free of charge. For full access, students can contact their local PADI Dive Center or Resort or visit www.padi.com/touch. When updates are available, the PADI Digital Library App will send a push notification to alert the user so they can stay up to date with the latest downloads. The PADI Open Water Diver Touch uses the Adobe Digital Publishing Suite (DPS) to integrate compelling text with fun videos, audio clips, animations, illustrations, quizzes, photos and other highly interactive elements. With gesture-led navigation, divers can enjoy an intuitive, content-led learning experience. “We set out to invent the future of diver education. 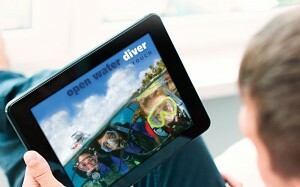 PADI Open Water Diver Touch is a fully interactive application that engages students with the materials. It combines the entertainment factor of video with the rich content of a book all rolled into one.” – Karl Shreeves, technical development executive, PADI Worldwide. But the PADI Open Water Diver Touch hasn’t just turned the heads of students and dive professionals; it’s caught the eye of software giant Adobe Systems, too. 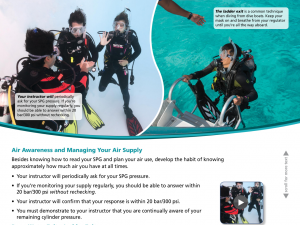 Adobe – the name behind global products such as Acrobat Reader, Photoshop and Flash Player – were so impressed with the inventive use of DPS in bringing scuba diver training to life that they’ve created an entire case study around the idea. 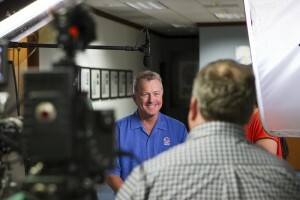 Visiting the PADI Americas regional headquarters in California, Adobe filmed one-one interviews with the PADI staff who held key roles in the creation of the PADI Open Water Diver Touch. Check out the resulting video below and the online case study document here. 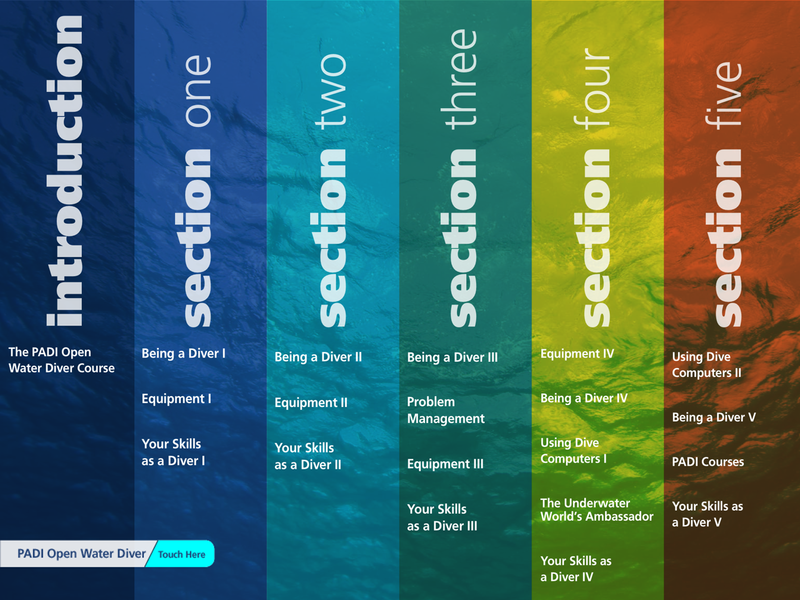 By choosing the Adobe Digital Publishing Suite, PADI development staff were able to create the PADI Open Water Diver Touch and PADI Digital Library App resourcefully and quickly. This opens the door for a series of PADI Touch programs to be rolled out in the future, such as the newly-launched PADI Equipment Specialist Touch™ and PADI ReActivate Touch™. Want to find out more about current PADI Touch products or what’s coming next? Visit www.padi.com/touch or speak to your local PADI Dive Center or Resort. PADI Europe, Middle East and Africa – Taking Dive 2014 by Storm!